and dark colors prior to painting. Covers and preventing the re-appearance of hairline cracks. The application of Filler Coat on strong colours can save several coats of emulsion. thin layer mineral plasters, concrete and plasterboard. Fill deep surface defects with Everbuild Fill & Skim and smooth down. Glossy surfaces must be sanded and then cleaned with Sugar Soap. filler coat diluted 1 part to 4 parts water and allow to dry. 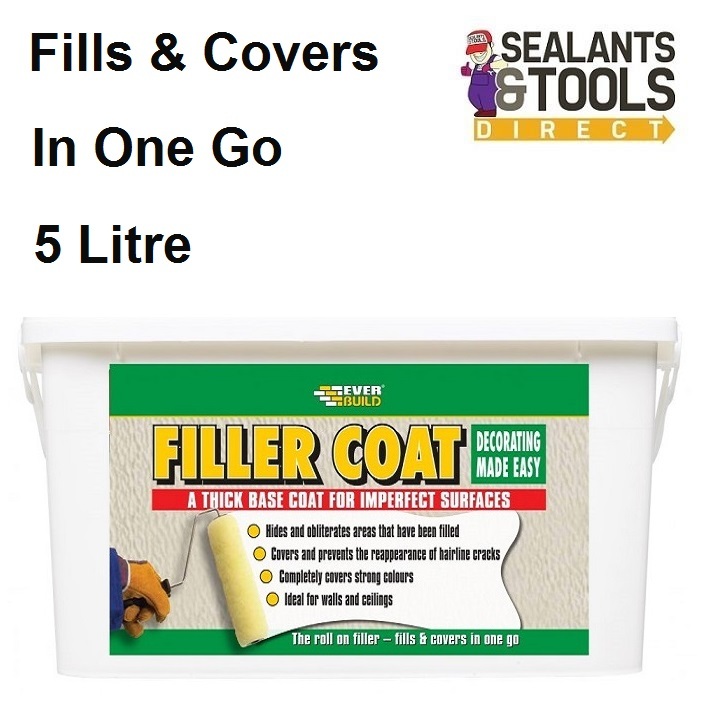 Stir Filler Coat well before use. This product is designed to fill minor surface imperfections.